One question I am often asked is how to avoid the chemicals at the dentist. There is no need for a regular visits to the dentist whilst the person is working on healing, unless there is an identifiable problem that needs treatment. If there is a need for urgent treatment, try to find a holistic dentist who understand your need to avoid chemicals and one who is happy to treat you without them. A single visit to the dentist will expose you to many chemicals that contribute to your toxic load. Many people with metal toxicity need to remove amalgam fillings in order to feel better, however this needs to be done by a holistic dentist who has the appropriate equipment to ensure the extraction is done safely and above all, the patient must be well enough to tolerate the small amounts of exposure when extracted. This is why it is important to strengthen the patient’s immune system and detoxification pathways with the GAPS Protocol for a minimum of 12 months to 2.5 years before undertaking such an intrusive procedure. People with MS or Chronic Fatigue may need to wait longer because their toxic metal overload is generally much higher than most and amalgam removal can be very debilitating for them. Dentists have standardised measures of regular x-ray procedures to help diagnose the condition of your teeth, gums, roots, jaws and bones. Whilst this is helpful for the dentist, they are not necessary for every case and we encourage all forms of radiation to be avoided. Even minimal radiation exposure can build up over your lifetime and the health of a GAPS patient is already compromised so we want to avoid anything that contributes to making this worse. The GAPS Protocol is full of appropriate nutrients to foster healthy teeth and gums. This includes fat soluble vitamins from cod liver oil. Vitamin A and D are very important and these can be found in GAPS staple foods with liver being a strong vitamin A rich food and eggs, oily fish and ghee for vitamin D rich foods. Bone marrow and caviar are also promoted as rich fat soluble vitamins to help fight cavities. Other GAPS staples that contribute to healthy teeth and gums include meat stock, bone broth and homemade soups. Raw grass fed milk, cream and cheese is also dense in calcium compared to pasturised milk. Cheese when tolerated is not only rich in calcium but phosphorous as well and it protects the teeth from cavities when chewed with the back molars after the main evening meal so selecting cheese as a late night snack is a good habit to form. Don’t just chew and swallow, take your time and chew slowly to give your teeth some good coverage for better protection. Chewing cheese is said to benefit both children and adults, who suffer the decay that occurs when gums are receding or when roots of teeth become exposed. Dr Natasha does discusses in great detail the harmful effects of fluoride and other toxins to avoid in toothpaste and drinking water so we will not focus on this here apart from the obvious need to avoid it wherever possible. A simple cleansing paste can be made from dipping your tooth brush in olive oil and dipping it in some pure bicarbonate of soda. It will clean your teeth, gums and tongue whilst pulling toxins from within the mouth and it does not leave a white film on your tongue like tooth paste does. It leaves your mouth clean and your tongue is left a healthy pink colour. 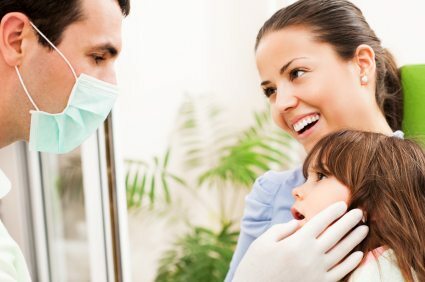 What can we do to eliminate the harmful effects from visiting the dentist if we have an emergency that must be treated? 1. Tell the dentist that you prefer to be fluoride and chemical free and ask them to only use products that are absolutely necessary when consoling with you first. 3. Drink peppermint tea. Research has shown that certain varieties of mint have properties to help defend against cancer damaging radiation after an x-ray. https://gapsaustralia.com.au/wp-content/uploads/2018/06/logo-gaps-diet-australia-129.png 0 0 GAPS Diet Australia https://gapsaustralia.com.au/wp-content/uploads/2018/06/logo-gaps-diet-australia-129.png GAPS Diet Australia2011-01-09 14:55:412012-09-09 22:14:58How toxic is your dentist?